Discover the best cities to visit in Germany during your next trip. Germany remains a popular vacation destination for travelers all around the world. This European country contains a countless number of environments to explore and enjoy. From stunning outdoors settings to more urban landscapes, everyone can find some place to love. If you’re more interested in learning about Germany’s culture, you’ll want to take a tour of the nation’s coolest cities. With so many to choose from, however, you might not know where to go first. That’s why we’ve curated a list of the ten best cities to visit in Germany. Read our article below to find out about these awesome urban sites before planning your Germany vacation. Do you prefer the hustle and bustle of exciting urban destinations? If you’re a traveler who enjoys exploring busy locations and visiting various shops and restaurants, you’ll love German cities. These livelier locations may offer more cultural interest and a variety of activities for travelers who like to stay busy. Popular cities in Germany maintain cosmopolitan atmospheres that provide for countless adventures during your visit. However, travelers who prefer to relax a little and explore in a low-key manner may prefer quieter places. Some cities in Germany feel a bit more peaceful than certain urban locations. Consider whether you’d rather find a location to unwind and enjoy a tranquil night out, instead of partying it up. Of course, a few cities maintain fast-paced and low-key atmospheres, so you can get a bit of both experiences. You might just have to figure out the perfect spot for you before you head on over to Germany. Some locations in Germany may not be possible to visit without boarding a plane. This means you’ll have to plan in order to book a flight to the cities you most desire seeing. Travelers who haven’t considered how to get from place to place once they arrive in Germany may run into troubles. You might deal with anxiety and frustrations as you try and book tickets upon arrival. Other cities may be easily found by car or train, so you won’t have to worry too much about transportation. In this manner, travelers should consider the varying ways they’ll have to travel while traversing the German landscape. If you plan ahead and book train or plane tickets prior to arrival times, you’ll save yourself some worries. Instead of waiting until the last minute, prevent possible travel woes by figuring out transportation details prior to leaving. Most of the best cities to visit in Germany offer travelers an array of fun things to do. From cool restaurants and cultural spots to quieter outdoors locations, German cities maintain countless cool places to see. When you come to these European locations, you won’t ever have to worry about growing bored. However, certain cities contain specific sites that may appeal to some travelers over others. Travelers who consider themselves foodies may prefer cities with various restaurants to explore and enjoy. If you’re looking to embark on a bar-hopping tour, some cities might be better equipped to fulfill that desire. Or, anyone who appreciates art may want to look at cities with an exciting art scene. Places like museums, art galleries, and even local architecture can all provide the cultural sites you’re hoping to find. Overall, travelers should think about their favorite activities to do while exploring new cities before they embark on their journeys. Here are the ten best places to visit in Germany. 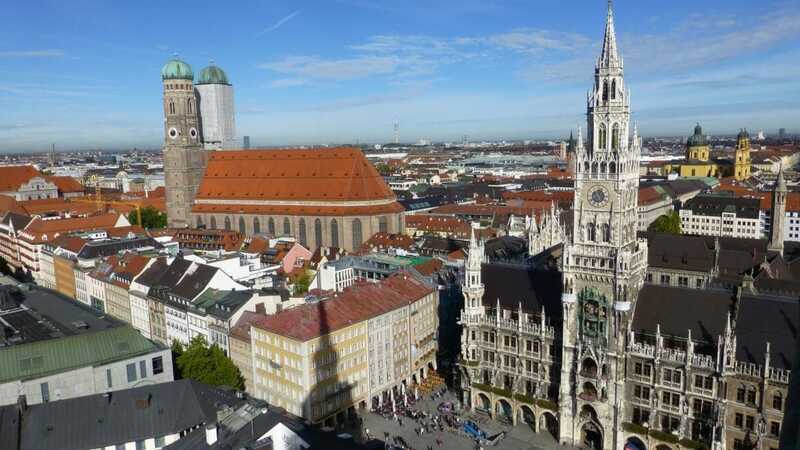 In Munich, travelers will discover the Germany they imagine when planning a trip to the European nation. This city contains the quintessentially German atmosphere and culture that many travelers hope to find when coming here. As the capital of Bavaria, Munich maintains its own unique culture, letting it stand out from other German cities. With its gorgeous architecture and proximity to the Alps, Munich offers stunning sights to see as well. Nymphenburg Palace and Marienplatz remain top choices to visit when you come to the city. You'll discover so many amazing things to do in Munich. In this manner, Munich represents one of the best cities to visit in Germany. Beyond the stunning environment and buildings, Munich also gives travelers the chance to have tons of fun. Any beer-loving travelers will want to head over to this city, as it maintains a reputation for having top-notch beer. The various beer halls and beer-gardens remain must-visit locations when you decide to come to Munich. You can enjoy a glass of beer while sitting outside and talking among fellow travelers or Munich natives. Additionally, if you’re looking for a quiet place to enjoy a picnic, stop by the English Garden. This green space appears beautiful during the afternoon, and lets you appreciate the sights as you relax outdoors. As the capital city of Germany, Berlin remains a top choice among places to visit in the European country. 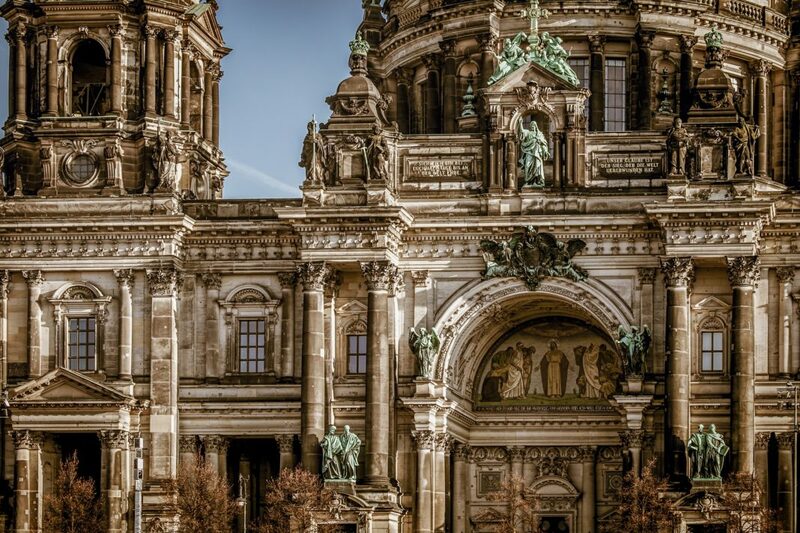 Berlin maintains a rich history, as well as a vibrant and exciting culture. Accordingly, Berlin represents one of the best cities to visit in Germany. When you stop by Berlin, you’ll probably want to make time for visiting a number of cool sites. Since the city has so much to offer, you also could spend more than a day here. Think about the hours you want to spend visiting the city before embarking on a tour of the area. Within Berlin, travelers can discover a host of exciting things to do. Anyone with an interest in fascinating architecture will love seeing the cool buildings that stand here. For example, the fernsehturm, also known as the TV Tower, and the Kaiser Wilhelm Memorial Church remain popular sites. As the biggest city in Germany, Berlin also maintains a variety of restaurants and bars to explore. Berlin heralds a vibrant nightlife, so any interested in bar-hopping will find this to be an easily attainable goal. Within the city’s central neighborhood of Mitte, you’ll discover a variety of cool things to see and do. Make sure to try some of the city’s famous street food before embarking on another adventure. When you come to Hamburg, you’ll get to experience a grittier side of Germany. This city, the second largest in the country, has an exciting nightlife and cooler atmosphere. Various waterways may be found running through the city, and Hamburg even contains a large number of bridges. You’ll have the opportunity to wander through the streets at night and appreciate the water views. Couples hoping to have a romantic trip abroad may appreciate the opportunity to explore the stunning city at night. Hamburg also contains one of the largest harbors in the world, so visit this area if you love the water. Besides the alluring water views, Hamburg also contains a variety of fun things to do, especially at night. In Reeperbahn, a district in the city, travelers may discover sites similar to those in Amsterdam’s Red Light District. Nearby the area, you’ll find many clubs, restaurants, pubs, and other locations to enjoy food and drink. Those who want to explore Hamburg during the day will enjoy locations such as the Town Hall, or Rathaus. This impressive structure has an opulent construction, appearing similar to other European palaces or royal buildings. With so many sights to see, Hamburg remains one of the best cities to visit in Germany. As you can see, you'll find many reasons to book a trip to Hamburg. 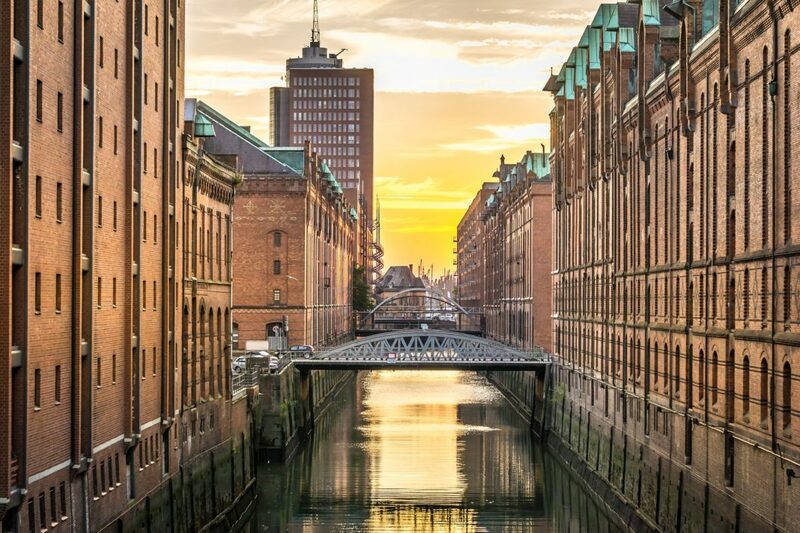 Make sure you don't overlook a trip to this city before you can experience Hamburg for yourself. Frankfurt might seem more like a pitstop on your way to other cities in Germany or around Europe. However, this location represents one of the best cities to visit in Germany, and for good reason. Though Frankfurt experienced a lot of destruction during WWII, the city has built itself up within the last decades. Modern structures make this city special in comparison to other German sites that might maintain more historical buildings. In Old Town, or Alstadt, you’ll find the reconstructed area and location of Römerberg, which remains idyllic during winter. Travelers who love the winter holidays may appreciate the impressive Christmas market held here each year. 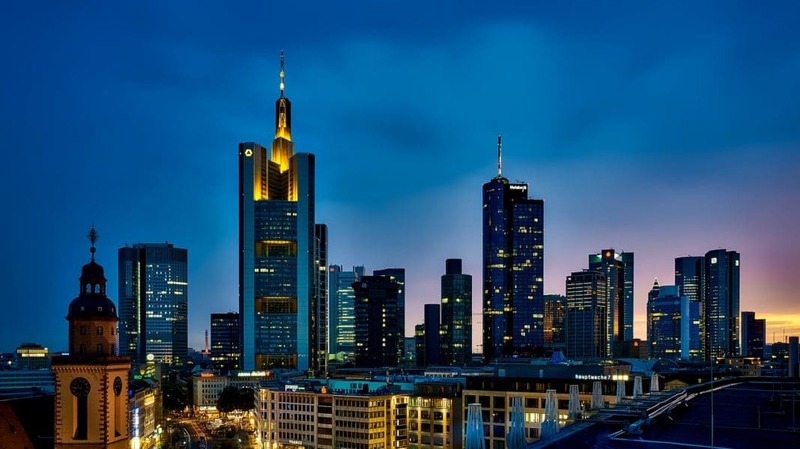 Within Frankfurt, travelers can visit the futuristic the central business district, which contains a number of massive skyscrapers. The Main Tower, a 200-foot tall viewing tower, has an observation deck open to the public on Fridays and Saturdays. Conversely, the Palmengarten, a botanical garden spanning 22 hectares, offers stunning views of nature. You’ll get to see a variety of plant species, whether organized inside greenhouses or in the open air. Travelers who consider themselves fans of literature will definitely want to check out the Goethe House and Museum. This location, once Goethe’s home, has been refurbished to appear in its 18th century form. You could easily travel to this Germany city from Berlin. 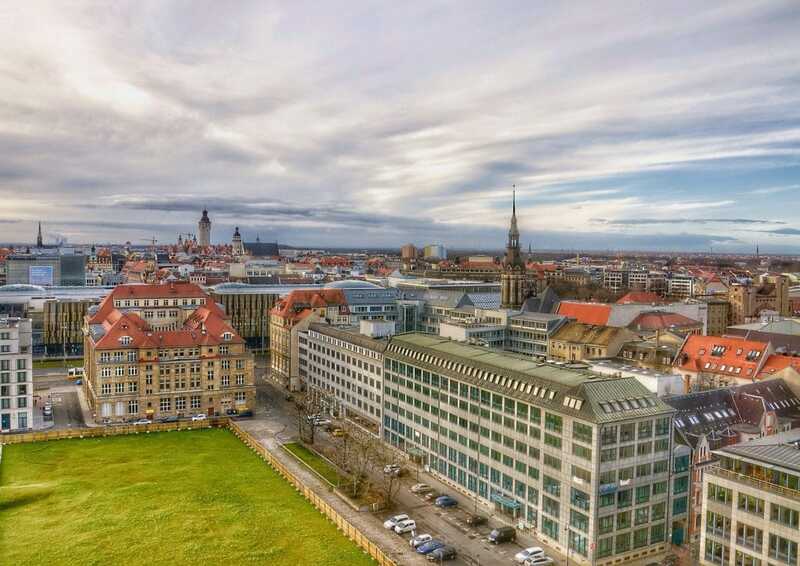 In Leipzig, traveler will get the chance to learn all about the German culture. Here, many great minds once met to discuss their arts or specific point of study. For example, you can find the body of composer Bach buried at St. Thomas Church. The Church also remains famous for hosting concerts by its boys’ choir, so you could see a performance while there. If you decided to visit the Goethe House, you might be interested in visiting Leipzig, as the writer studied here. As you explore Leipzig’s cultural sites, you’ll understand why it represents one of the best cities to visit in Germany. Those who visit St. Thomas Church and want to see more religious structures should head over to St. Nicholas Church. The Baroque and Gothic Church appears beautiful, and was once where Bach performed many of his pieces. At the Museum der Bildenden Künste, art-loving travelers may find their home. This museum contains a number of impressive art pieces, such as those from the Renaissance period or German Romantic movement. If you’re more interested in historical artifacts, visit the Zeitgeschichtliches Forum. The exhibition holds a variety of documents and memorabilia concerning East Germany from after WWII until its reunification. 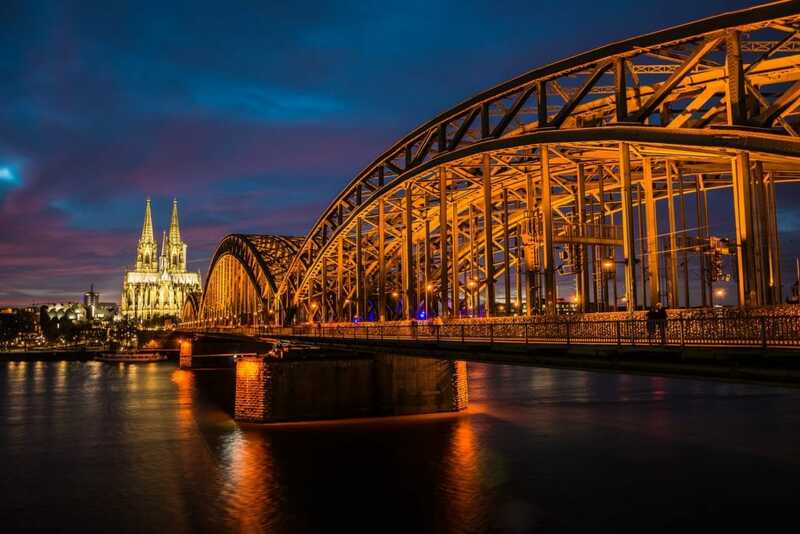 Travelers fascinated by the history of Germany should make a trip to Cologne. This location remains one of the oldest cities in the county. Originally established by the Romans, Cologne maintains centuries of history to admire and learn about. With all this history, you can a find a countless number of things to see and do while visiting. One of the most popular sites to look out for in the city is the Cathedral of Cologne. This massive structure, standing over 500 feet tall, appears grand and impressive even from afar. You’ll probably be able to see the cathedral as soon as you arrive in Cologne. As one of the best cities to visit in Germany, Cologne contains various opportunities for exploration and learning. Once you’ve visited the Cathedral, you could walk over to old town. 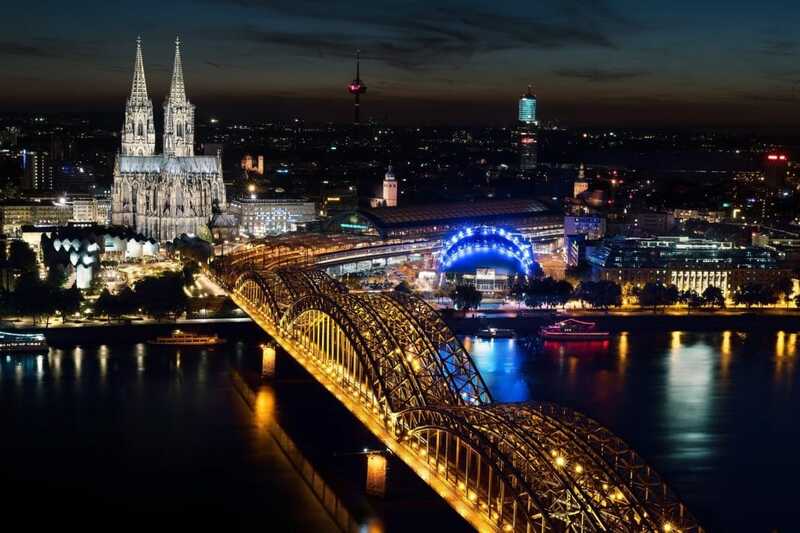 If you’re hoping to take a romantic adventure through the city, consider walking along the Rhine River at night. Along the journey, you’ll find numerous museums, galleries, and historic buildings to appreciate. Those with a sweet tooth should consider stopping by the Chocolate Museum. While there, you may learn all about the history of chocolate and try a taste of the rich treat. If you’re already in Berlin, why not make a short journey over to Dresden? The city, the capital of Saxony, has become known as a site for art lovers and architecture fans. With various art museums and gorgeous baroque architecture, you won’t suffer from a lack of artworks to view while here. As you arrive in the city, you’ll immediately be surrounded by stunning buildings. Though the location has been reconstructed heavily since WWII, the area still appears charming and impressive. In this manner, Dresden remains one of the best places to visit in Germany. Many of Dresden’s famous structures, once destroyed in WWII, have been rebuilt and appear in just the same impressive fashion. The Frauenkirche, or the Church of Our Lady In Dresden, looks stunning with its immense dome and baroque architectural style. Other buildings worth visiting include the Zwinger, a palace that contains various museums with art pieces. You could wander the gardens or simply appreciate the art pieces housed at the massive structure. 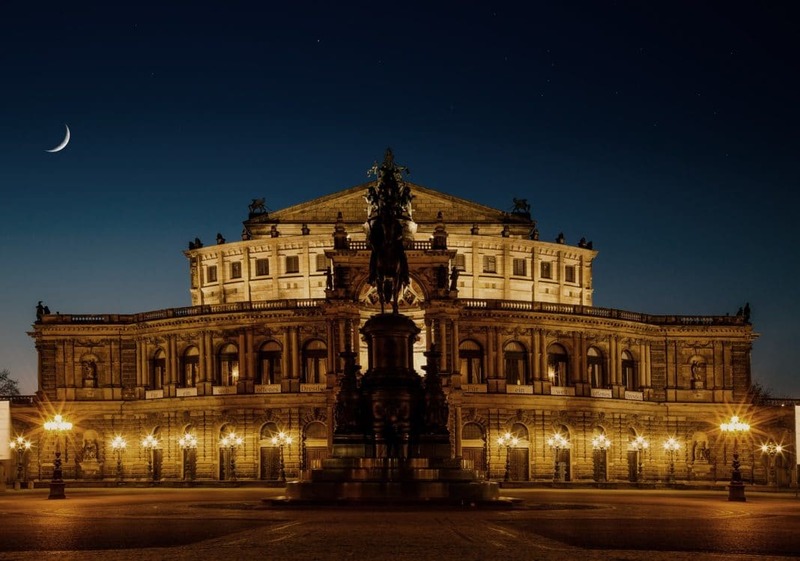 Additionally, Dresden has an amazing opera house, the Semperoper, that was once rebuilt after a fire. Travelers with an interest in opera may want to see a performance at this special spot. 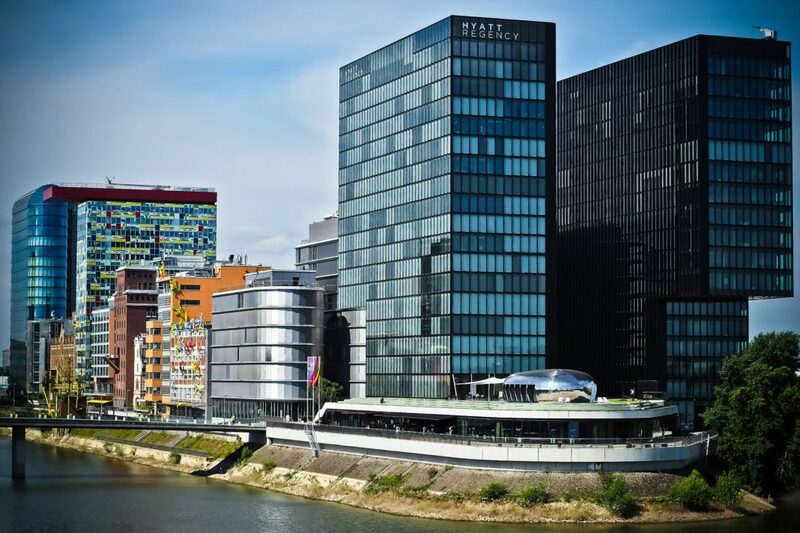 When you arrive in Düsseldorf, you’ll immediately feel surrounded by the cosmopolitan energy of the location. As one of the best cities to visit in Germany, travelers may accomplish a variety of activities here. If you like to go shopping, this might be the perfect city for you. On Königsallee street, travelers may discover an array of shops and boutiques to explore. You may just want to buy a souvenir as a reminder of your trip to the city. Schadowstrasse street also contains a variety of shops to step into along your journey through Düsseldorf. Other things to do in Düsseldorf include going for a picnic lunch at Nordpark. The Japanese Gardens & Aquazoo provide for a soothing and peaceful place to relax and appreciate the environment. If you like to go on the water, consider taking a boat trip along the River Rhine. This will offer you unparalleled views of the city and allow you to enjoy the breezes as you float along. The area of Kaiserswerth also remains especially idyllic, appearing charming and quaint nearby the river banks. This village maintains various buildings with a picturesque appearance, as well as walkways lined with trees. An old castle’s ruins even remain standing in proximity to the walkways. You could get a chance to appreciate some beautiful history while you take a peaceful journey through the area. Stuttgart, a manufacturing center, represents one of the best cities to visit in Germany. Travelers with an interest in cars may appreciate the kinds of sights available to see here. Both Porsche and Mercedes-Benz have headquarters in this fascinating city. You could visit the plants, or simply go to a museum about the cars in questions. In fact, you’ll get to learn about cars in detail if you visit the Mercedes-Benz or Porsche museum. These museums showcase antique and racing cars, so you’ll get to see some truly cool vehicles. Don’t forget about visiting this city during your Germany trip, especially if you love cars. While Stuttgart might contain various manufacturing sites, you’ll also find many green areas here. A variety of parks exist around the city, especially near its center. The Rosensteinpark and Schlossgarten remain popular choices for splaying out on the grass and enjoying the sunshine. You might also want to bring some food along to eat a picnic with family or friends. The Wilhelma might entice any younger travelers, or those who simply love animals. 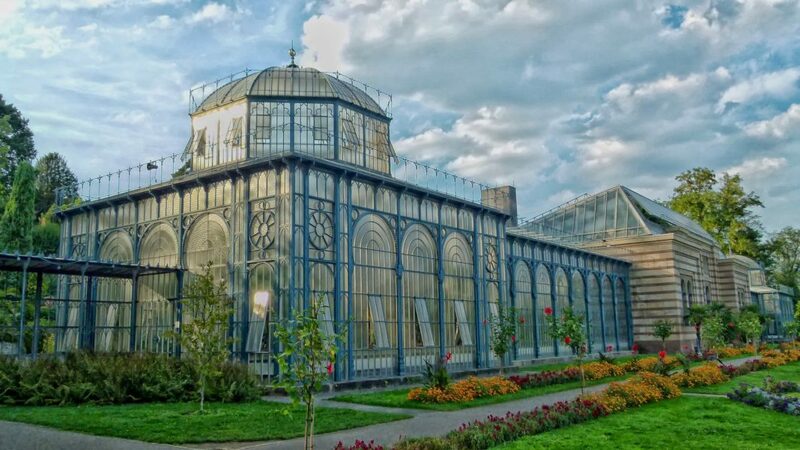 This site remains one of the biggest zoos and botanical gardens throughout Europe, so you’ll have plenty to explore. Ludwigsburg Palace might also be appreciated by those who value baroque architecture. The palace contains both museums and a park area, so you can have indoors and outdoors adventures. Last on our list of the best cities to visit in Germany, Heidelberg appears extremely peaceful and idyllic. When you come here, you may simply want to relax among the trees with a book in hand. As you wander through the old cobblestone streets, you might feel transported back in time. Since this city wasn’t destroyed during WWII, the area remains mostly as it stood in the 18th century. You’ll get to experience the beauty of the past by simply stepping through the streets. Baroque structures in the center of the city appear impressive, allowing travelers to appreciate the architectural marvels. Many tourists enjoy embarking on a walking journey through Heidelberg, as it’s not too difficult to navigate. If you stand on the Old Bridge, or Alte Brücke, you’ll have the chance to view the stunning Neckar river. 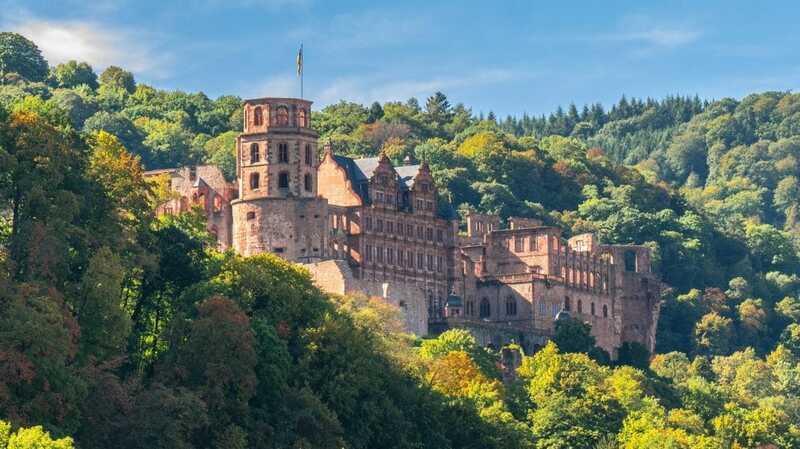 Those fascinated by history and architecture should definitely check out the ruins of Heidelberg Castle. This structure, while not the same as it once was, still appears especially grand rising above the city. Travelers who love to learn will additionally appreciate Heidelberg University, the oldest university in all of Germany. You could visit the campus, and then spend an afternoon or night exploring the local bars and restaurants. Overall, Heidelberg appears charming and quiet in comparison to the more cosmopolitan sites on this list. Spend a day exploring the best cities to visit in Germany. If you’re interested in planning a trip to Germany, you’ll want to pick a few places to visit first. Since Germany contains so many incredibly fascinating places to explore, it can be difficult to pick where to go. Thankfully, we’ve created our list of the best cities to visit in Germany to help assist your travel itinerary planning. From smaller towns to more bustling urban locations, Germany has a variety of environments to discover. Everyone can find something they love to do when they come to this European nation. You could go shopping, visit historic sites, or simply enjoy a few meals at the best restaurants in Germany. Hopefully, our article has provided some much-needed inspiration as you think about heading to Germany this year.